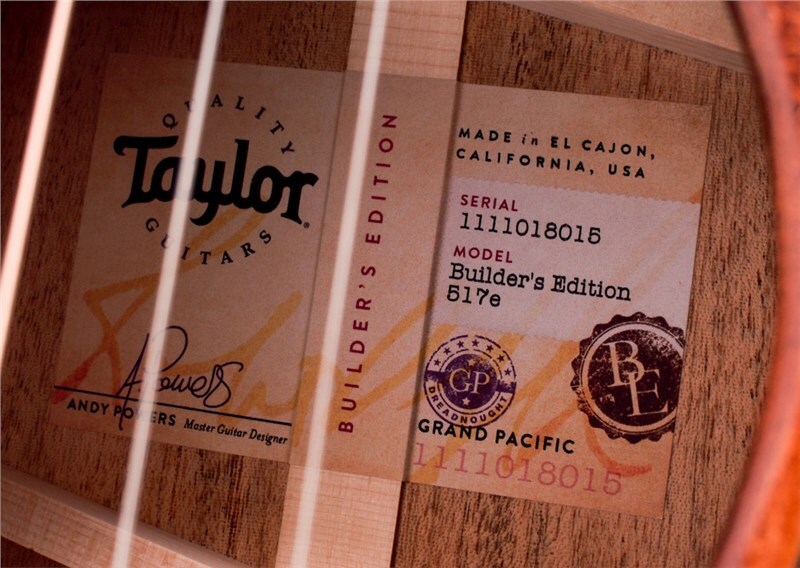 Among the first generation of Taylor Grand Pacific guitars, the Builder's Edition 517 dramatically expands Taylor’s sonic palette with a new flavor of acoustic tone that may surprise players who think they know the Taylor sound. 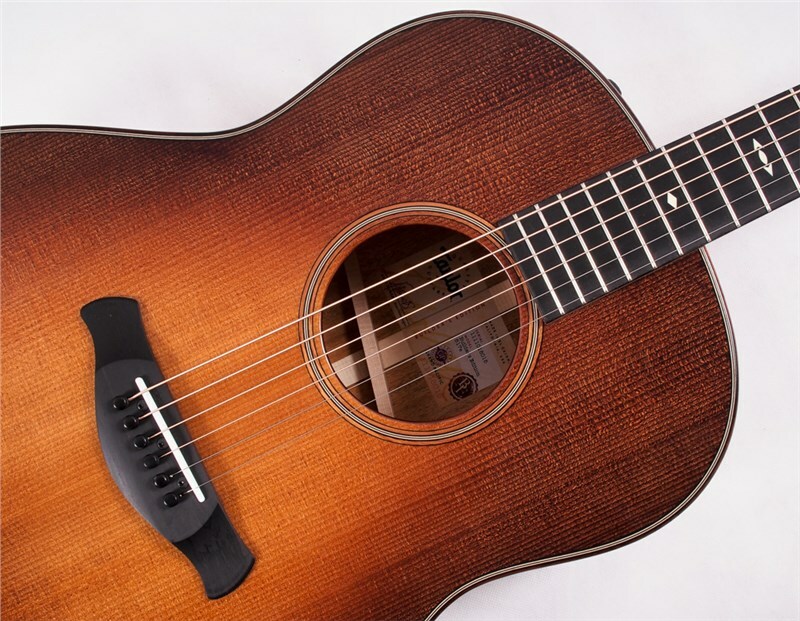 An exciting new entry into the dreadnought category, this round-shoulder Grand Pacific resonates with a finely-honed balance of low-end power and clarity across the middle and upper registers, producing warm, rounded tone in which notes blend seamlessly together to create a seasoned sound. 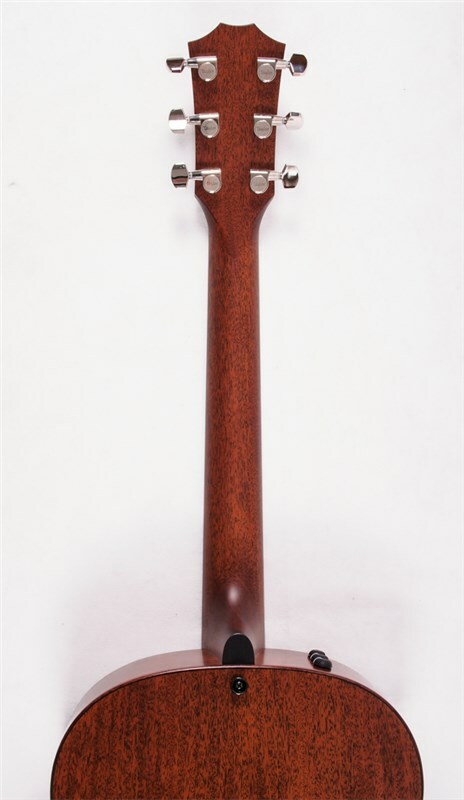 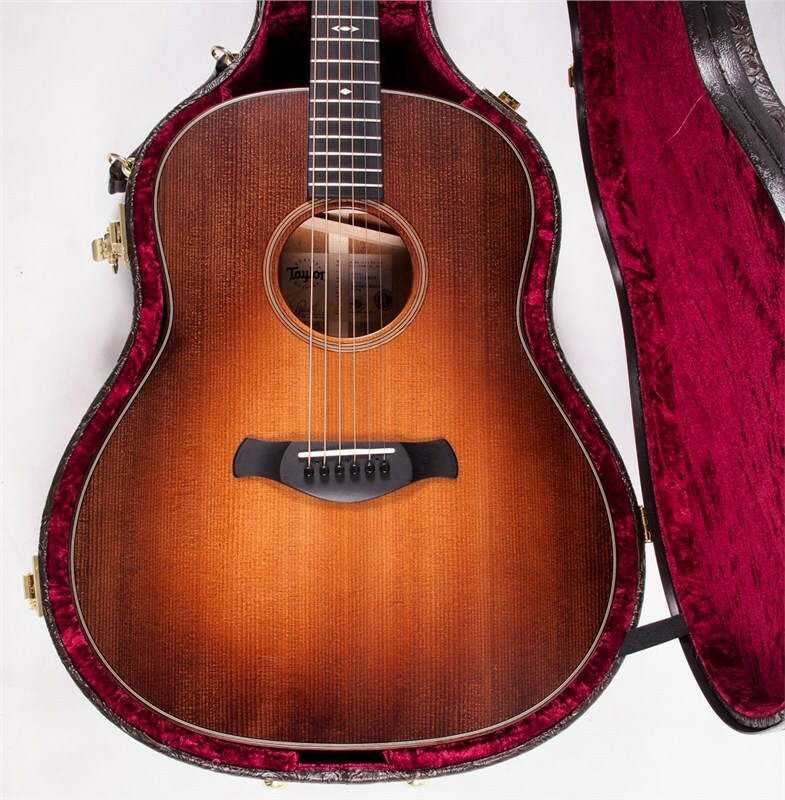 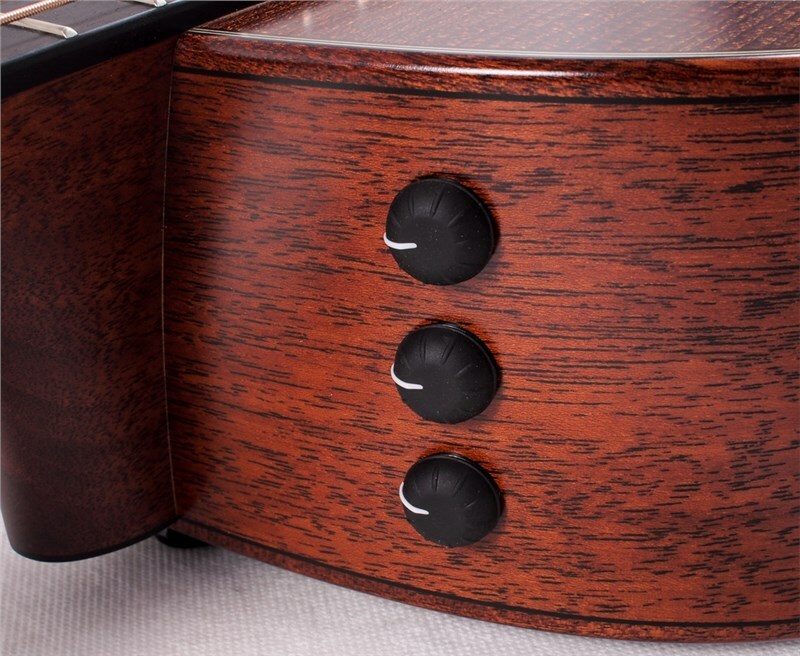 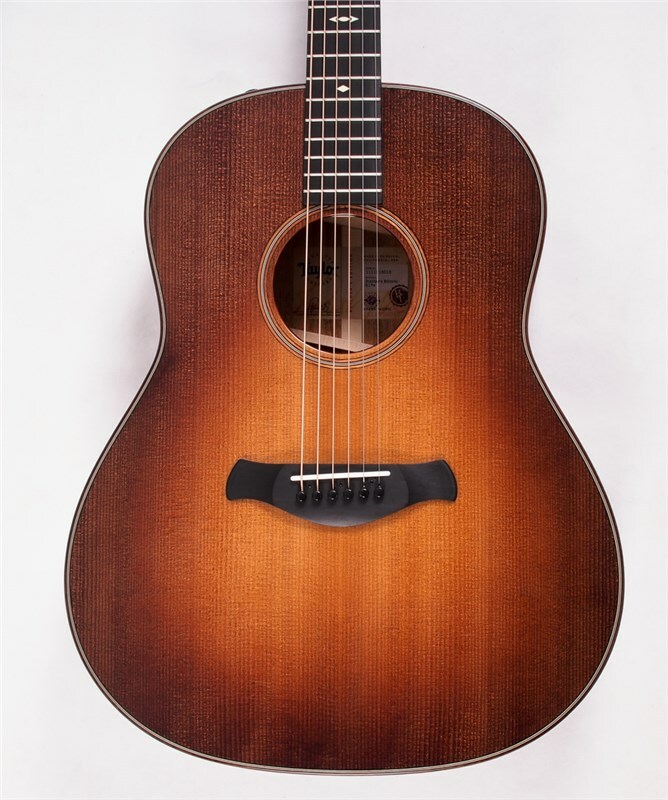 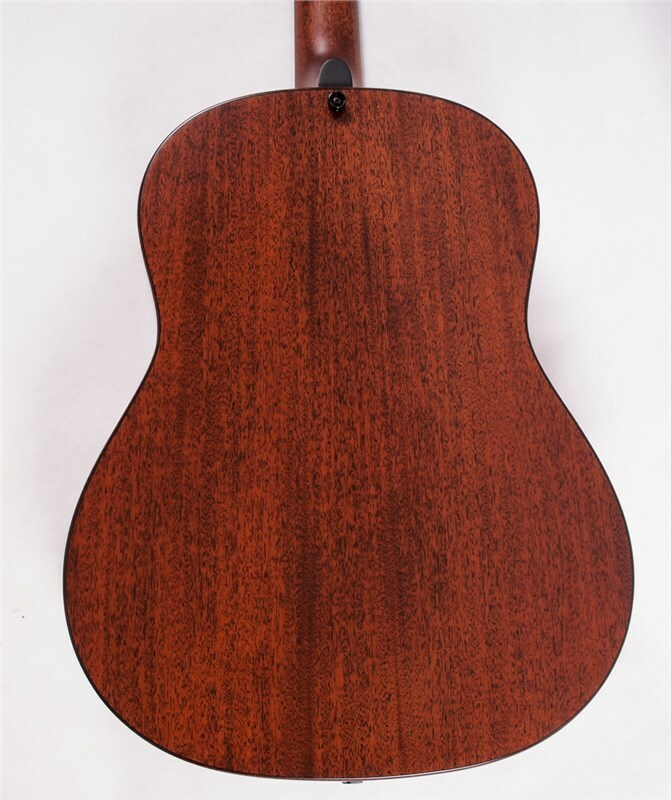 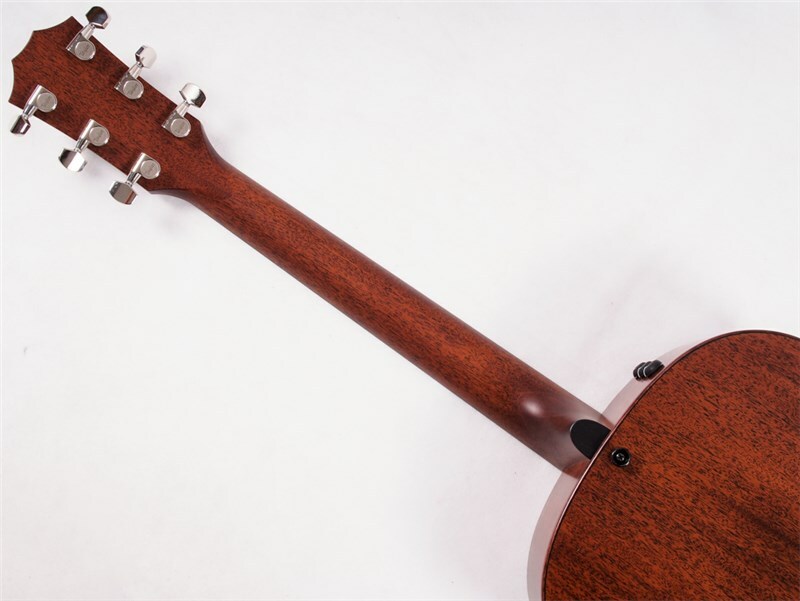 Back and sides of neo-tropical mahogany flavor the sound with dry, woody character, coupling beautifully with the dynamic response of the torrefied Sitka spruce top. 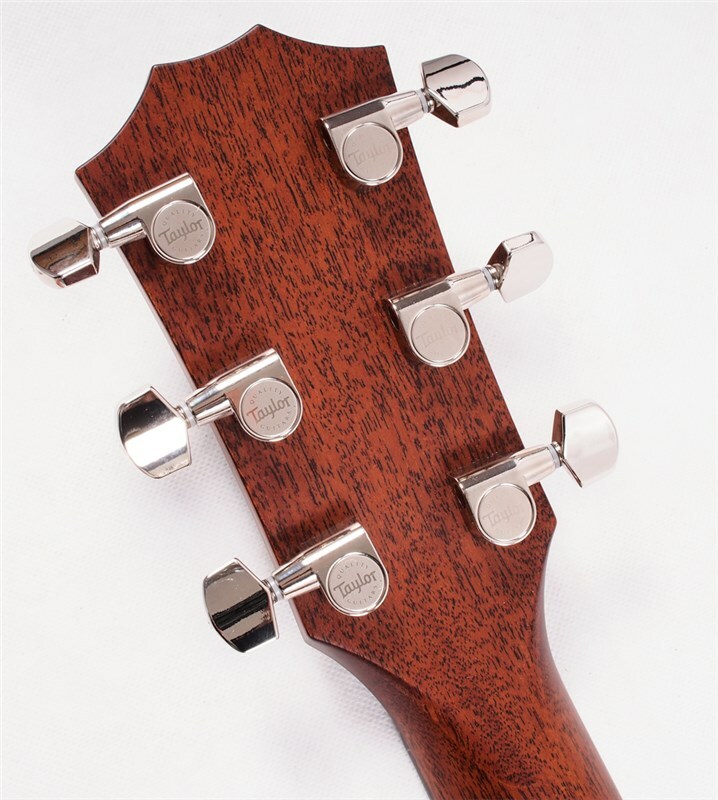 The Builder’s Edition stamp means that the 517 is detailed with premium features designed to maximize player comfort, including chamfered body edges and a new compound-carve neck profile that compensates for the change in your hand position as you move along the neck. 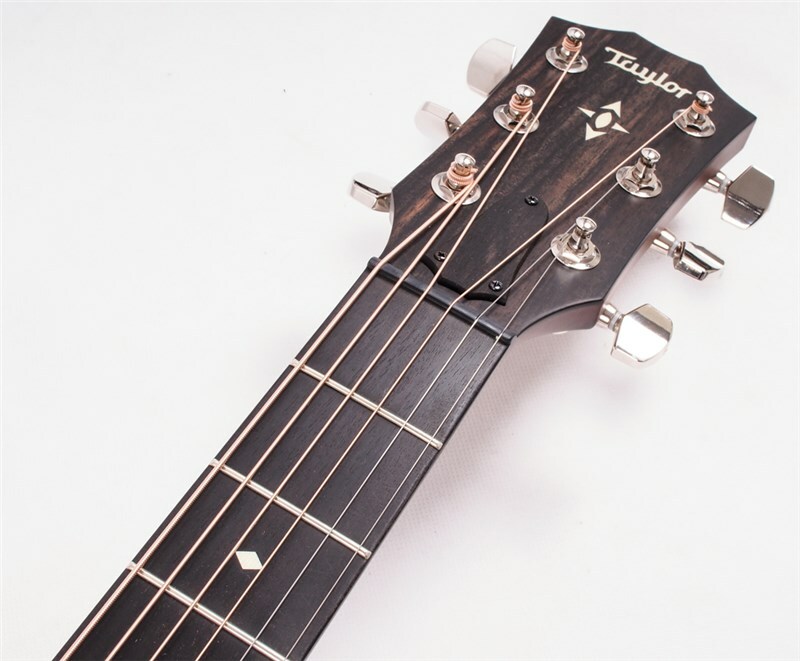 Subtly contoured fretboard edges and a rounded, ridgeless heel add to the guitar’s pleasing fretting-hand feel, while a refined bridge shape brings extra comfort to your pick hand. 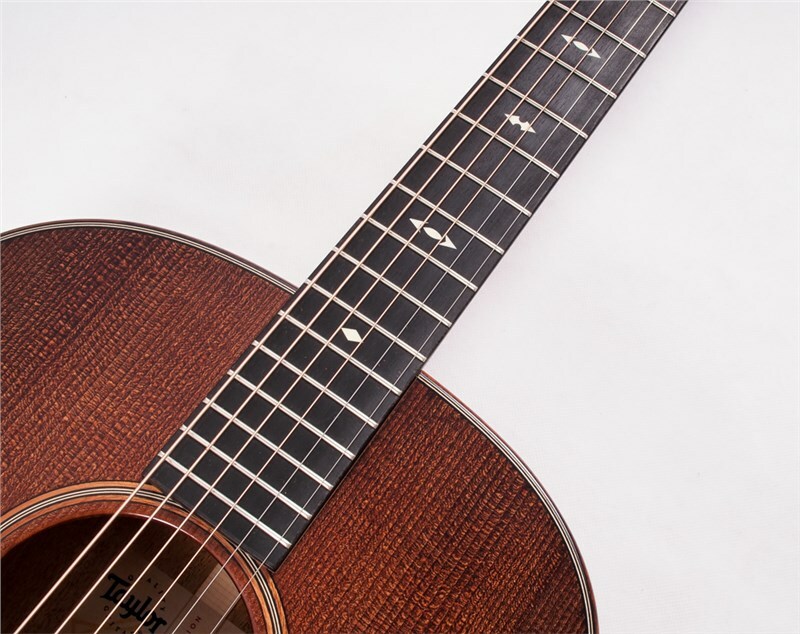 Under the hood, V-Class bracing enables the guitar to pump out stunning projection and sustain, plus nearly perfect intonation, which means you won’t have to contend with sour notes on the fretboard. 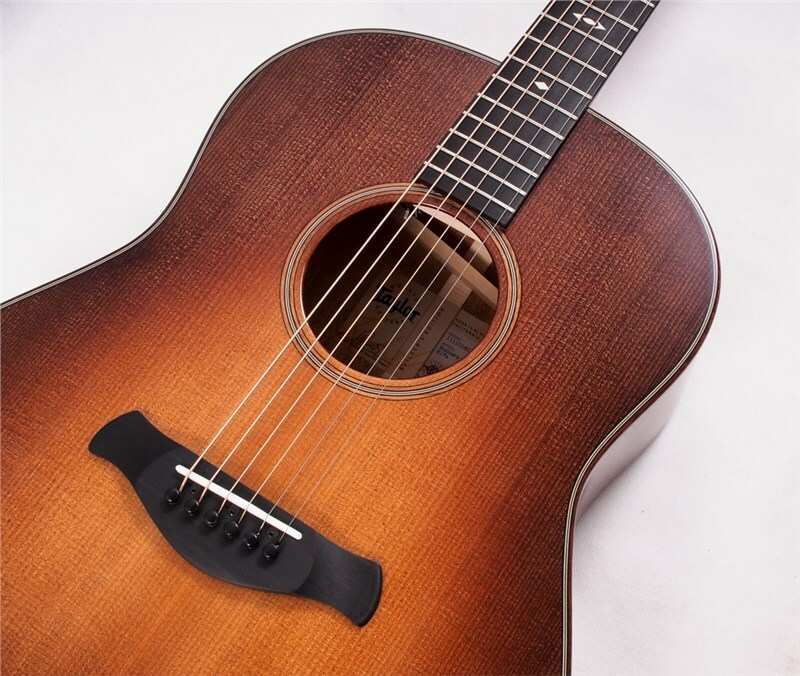 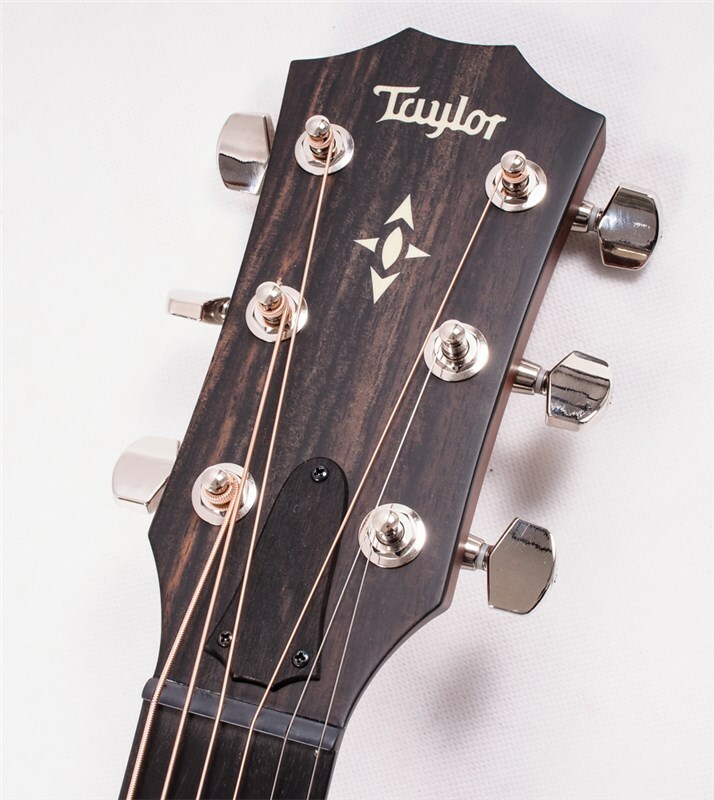 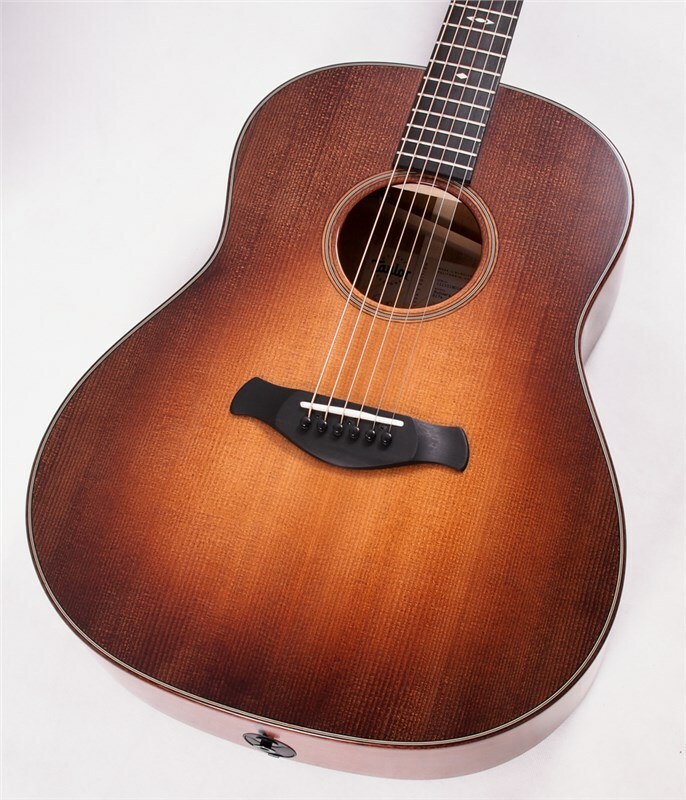 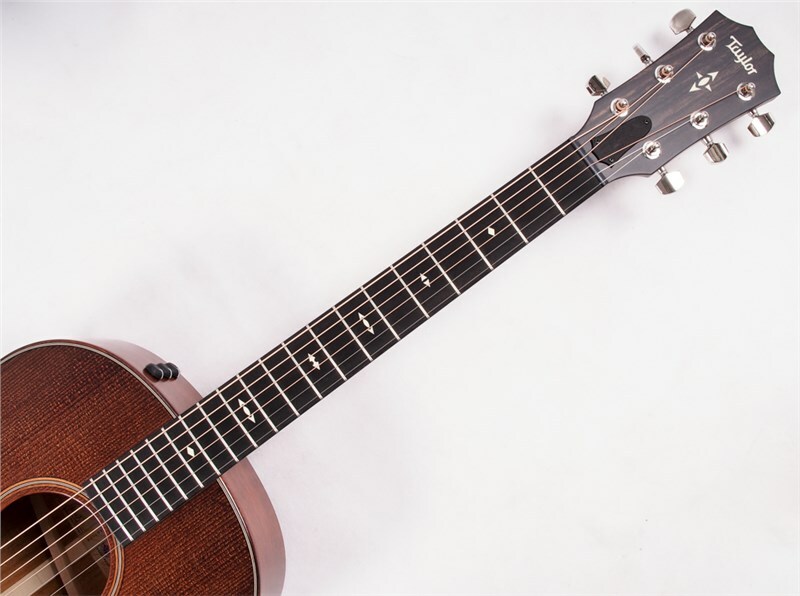 Between its sound and feel, the Builder’s Edition 517 once again raises the bar on the Taylor playing experience.